Windows Server 2008 and 2008 R2 were wildly popular technology choices when they initially rolled out nearly ten years ago. However, as their 2020 end of support deadline looms ever closer, not all organizations are sure where to go in response. For some, this might mean a move to Microsoft Azure. 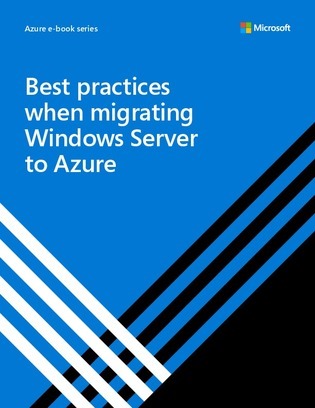 Dive into this e-book to read through a collection of Azure migration best practices. You’ll also find tips and tricks from organizations with experience migrating Windows Server 2008 or 2008 R2 environments, either by upgrading on-premises architecture or moving to Azure.